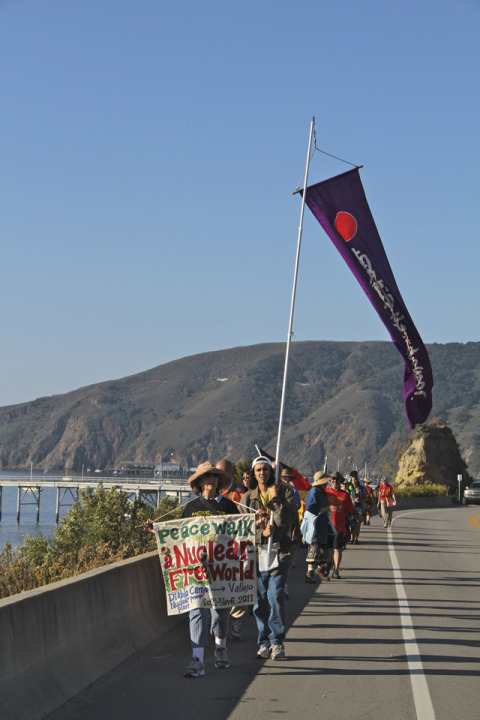 Read about the 2013 Hiroshima / Nagasaki event on the Tri-Valley CARES website, where there are great photos and videos, and on their Citizen’s Watch webpage. Dear friends, Today I have arrived at my seventieth birthday. I would welcome a donation to Ecumenical Peace Institute, whose year end appeal may be read by clicking on this text link. I have been working with EPI for the last thirty-five years. It has been good work, challenging and eye-opening. I hope you have found valuable and useful EPI's interfaith efforts to end the racism, materialism and militarism upon which the U.S. empire is supported. Our 2012 Ecumenical Peace Institute Autumn Gathering, “People, Land and Justice The Community Challenge to Protect Public Land” was fabulous! And it was all recorded by Tony Scarr on his new digital machine. We hope to make it available in mp3 form so that those who missed it can listen to the wonderful and informative talks, and those who were there can re-visit it. Thanks to our presenters, Gray Brechin, Patricia St. Onge & Pennie Opal Plant, and to all who worked to hard to make it a success, and to those who attended, making all our work worthwhile! Walk start place 30540 Mission Blvd, Hayward. Staying at Intertribal Friendship House, 5234 International Blvd, Oakland. Dinner and evening of drumming and dancing. Walkers will meet at the Dead Fish Restaurant on the south side of the Carquinez Bridge at 9 am and will walk through the city of Vallejo to Sogorea Te for a closing prayer around noon. We will then go to Glen Cove Park for an end-of-walk POTLUCK meal. We will take time to talk about the walk and the condition of Sogorea Te. Please bring your own dishes, cups and utensils. Please bring a dish or drink to share. Our own Carolyn Scarr, along with Cindy Sheehan, Karen Pickett and Susan Crane was honored in a celebration of food, music, comedy and theater at the Hal Carlstad Social Justice Award Dinner Friday, July 22 at the Berkeley Fellowship of Unitarian Universalists. Congratulations to all!